FILE - In this NASA handout image, U.S. Vice President Mike Pence delivers opening remarks during the National Space Council's first meeting at the Smithsonian National Air and Space Museum's Steven F. Udvar-Hazy Center on Oct. 5, 2017, in Chantilly, Va.
Vice President Mike Pence on Tuesday called for landing astronauts on the moon within five years, an accelerated pace that would aim to put Americans on the lunar south pole. Pence said NASA needs to achieve that goal "by any means necessary." Speaking at a meeting of the National Space Council in Huntsville, Alabama, he said NASA rockets and lunar landers will be replaced by private craft, if required. "It's time to redouble our effort," he said. "It can happen, but it will not happen unless we increase the pace." Now, the earliest possible landing on the moon by NASA isn't until 2028, Pence said. He acknowledged talent — and money — will be necessary to pull it off earlier. 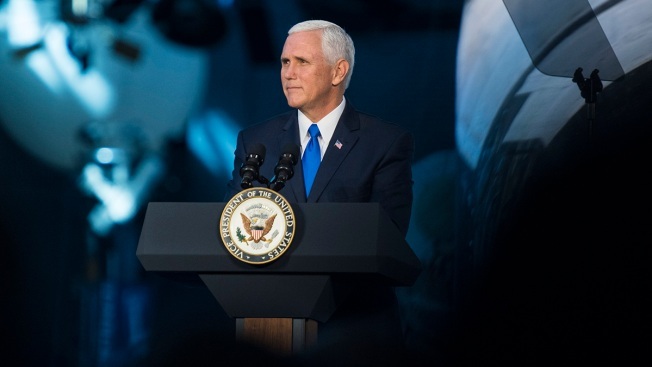 Vice-President Mike Pence outlined plans for a brand new branch of the United States military - the space force. 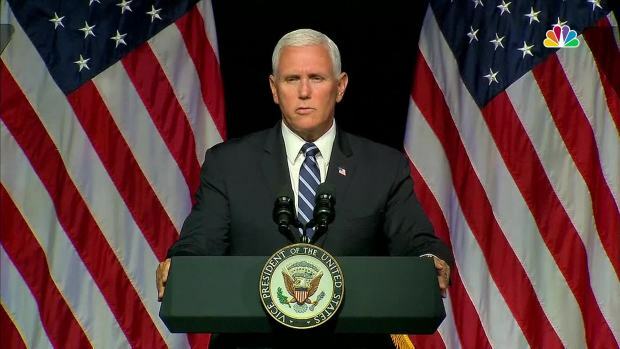 Pence cited President Donald Trump's calls for American dominance in space, pointing to competing superpowers Russia and China as clear threats to American interests. Pence warned that if NASA can't put astronauts on the moon by 2024, "we need to change the organization, not the mission." The space agency must transform into a leaner, more accountable and more agile organization, and must adopt an "all-hands-on-deck approach," he said. "I will be astonished if this happens," said Jonathan McDowell of the Harvard-Smithsonian Center for Astrophysics in Cambridge, Massachusetts, noting that a lunar lander still needs to be designed, built and tested. 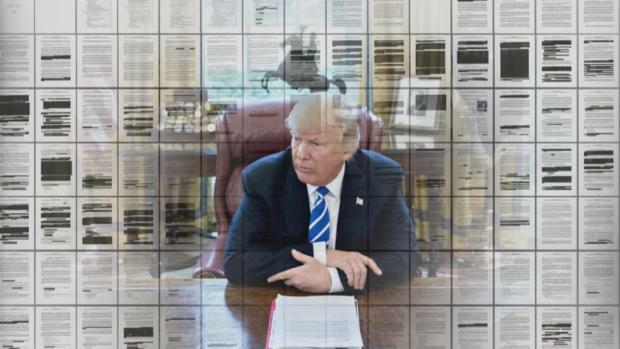 "That is a hard challenge on a five year time scale even without political budget infighting," he wrote in an email. This summer marks the 50th anniversary of the first manned moon landing. Since Apollo astronauts last walked on the moon in 1972, no country has made a serious attempt to send humans back to the lunar surface. For decades, NASA has flip-flopped between the moon and Mars, a victim of changing presidential administrations. More recently, President Barack Obama targeted Mars as astronauts' next big destination, while President Donald Trump has favored the moon. In order to get astronauts on the moon by 2024, Bridenstine said the space agency's new megarocket will be needed, but its development and pace will need to be faster. Two weeks ago, he said NASA was considering using private rockets instead to launch its new Orion capsule around the moon without a crew on a test flight next year. At a National Space Council Meeting Monday President Donald Trump announced new measures aimed at reclaiming U.S. leadership in space. Pence leads the National Space Council. The advisory group held its fifth meeting at the U.S. Space and Rocket Center, right next door to NASA's Marshall Space Flight Center, where the Saturn V moon rockets were developed decades ago and where the Boeing-built SLS is now managed. This longtime rocket know-how is why Huntsville is nicknamed Rocket City. The vice president instructed NASA to aim to land on the moon's south pole, where considerable amounts of ice could be used for drinking and making rocket fuel. "The exploration of the heavens in this still new century will go forward with or without the United States. But Americans don't do second place. Americans lead, and so we will," Pence said to cheers and applause. "The moon is a truly outstanding target, both for science and for getting our exploration legs back before we set out to further destinations like Mars," Stern wrote in an email. 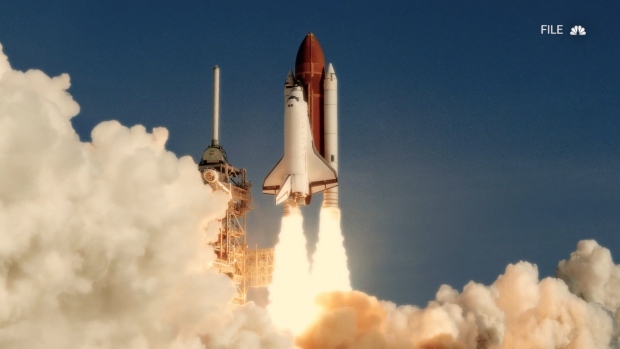 But former NASA official Scott Hubbard said five years seems "awfully short to me," given the lack of national security incentives like those that existed during Apollo and the Cold War race to beat the Soviets to the moon. Hubbard pointed out that both Bush administrations proposed similar far-reaching exploration efforts. "Those didn't go anywhere and collapsed of their own significant financial weight," he noted in an email. The University of Colorado at Boulder's Bobby Braun said he'd like to review the budget and details for implementation "as those details matter." He previously served as NASA's chief technologist. "The United States aerospace community is certainly capable of achieving this goal if provided with stability of purpose and the resources to do so," Braun wrote in an email. Science writer Seth Borenstein contributed from Washington.